Smart clothing isn't a new tech. But imagine a smart jacket that could do everything you needed without needing the extra computational power from a smart phone or smartwatch. 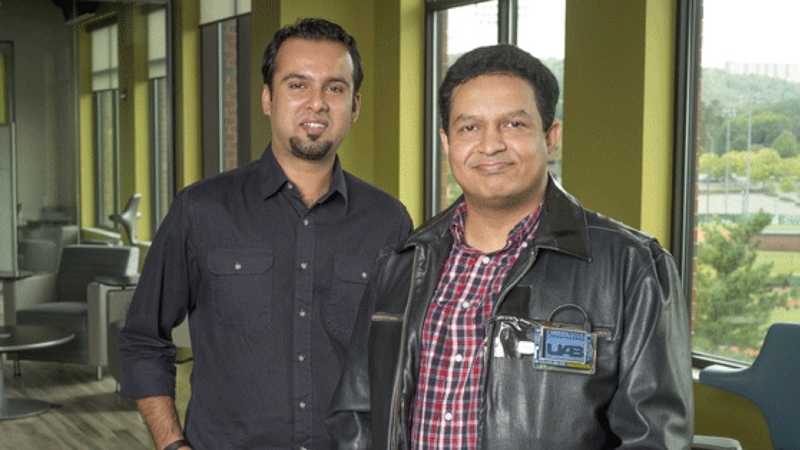 That's what University of Alabama at Birmingham researchers Ragib Hasan and Rasib Khan are trying to create. Their ongoing project is looking into the concept of a wearable cloud of information that can be worn as a swanky leather jacket. Hasan and Khan developed a prototype out of 10 Raspberry Pi's, an old jacket, three power banks and a small display which they presented at a conference in June. "Our overall approach is to create a generic atmosphere or platform that users can customize to fit their needs. "The wearable cloud can act as an application platform, so instead of modifying or having to upgrade hardware, this wearable model provides a platform, and developers can build anything on top of it." Their concept isn't completely new - Google and Levi's Project Jacquard is a connected denim jacket that will let urban cyclists interact with their phone hands free from their jacket sleeve. However where the big names want to focus in on consumers, Hasan and Khan want to take it one step further and delve into putting the tech into other objects like a backpack or briefcase. But clothing seems to be the main focus. Hasan mentioned first responders in the field with smart cloud clothing creating a "hyper-cloud" or "a much more powerful engine." This would act as a much faster network to send information in real time compared to waiting around for critical details in the field. Hasan also mentions vests that could be worn over hospital gowns that displays necessary information and has various sensors to take vital signs. The patient wouldn't be so encumbered by medical equipment and could move around better if needed while stats could still be taken by nurses and doctors. We've seen plenty of smart clothing that is centered around fitness and making our lives easier or fashionable tech clothing but not a lot with this level of potential for. Here's hoping this project follows through. We'll be keeping an eye on it.